Be honest: How often do you actually play with your adult cat? If the answer is “at least once a day, for about 15 minutes,” you get a gold star. If not, it’s time to have more fun with your cat. Interactive wand toys that let you control streamers, balls, feathers, etc. are a must-have in any cat household. Don’t feel like spending a ton of money on toys? 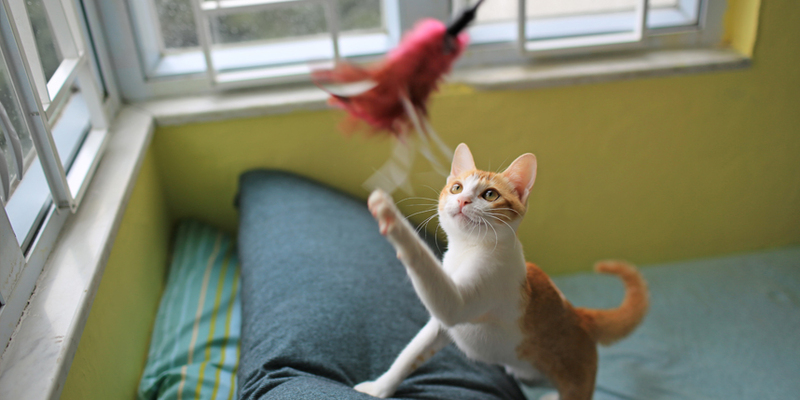 Check out our guide to the 10 best homemade cat toys! Toys are a great start—but it’s how you play that really matters. The key to making playtime with your cat extra fun is to remember that your cat is a natural predator, so you need to be the prey. Think like a mouse, and make the cat toy hide, creep, dart, and jump. The harder your cat has to work to catch the toy, the more fun you’ll both have. 3. Teach your adult cat some new tricks. Cats are smart, and many of them enjoy doing things to please their pet parents. (Believe it or not.) Teaching your cat a simple trick, like shaking hands or giving a high five, is a fun challenge for both of you. Get your cat’s favorite treats ready, and break the trick down into tiny steps, rewarding your cat along the way. For more info, check out this step-by-step guide to teaching your cat to shake hands. Outdoor walks with a leash aren’t just for dogs! 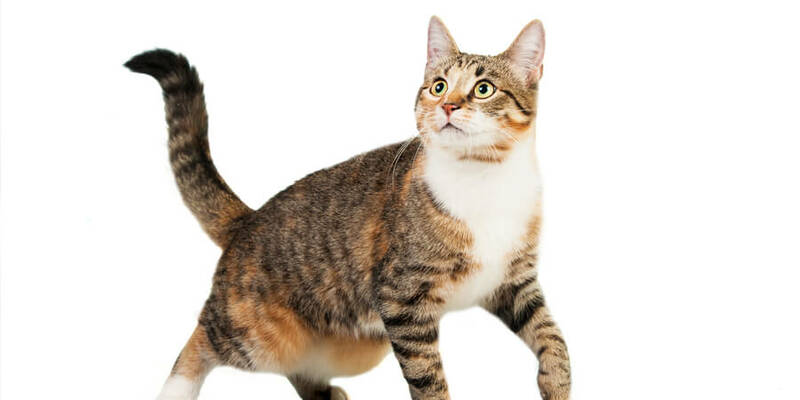 With a little patience and persistence, most adult cats can be trained to take walks with a leash and harness. Taking a walk is a great way to get some exercise and have more fun with your cat. To learn how to teach your cat to walk with a leash, check out this guide from the ASPCA. If pet parenting has gotten dull, put some extra effort into having more fun with your adult cat. It will pay off for both of you! 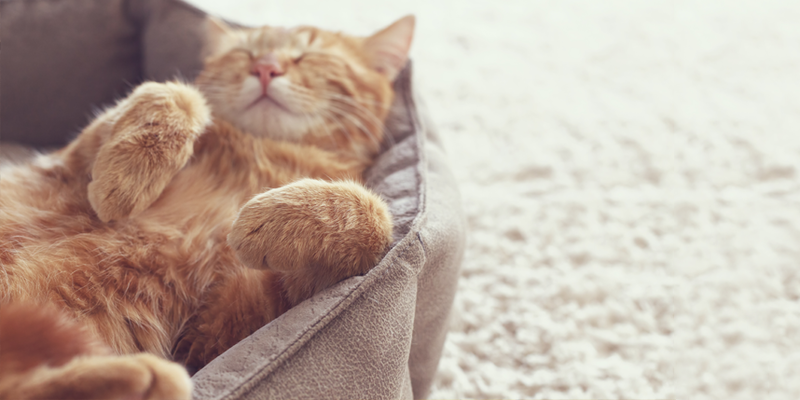 What are some of your favorite ways to have fun with your cat? We’d love to hear from you!